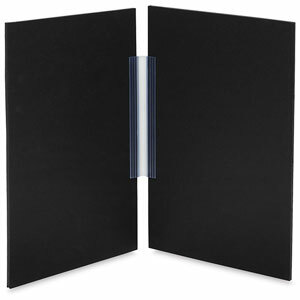 Attach these sturdy foam board hinges between your signs and instantly create a presentation. Each hinge measures 6" (152 mm) long, and is made of clear plastic. The rigid teeth on the hinges hold firmly to 3/16" foam board. Package of two hinges.